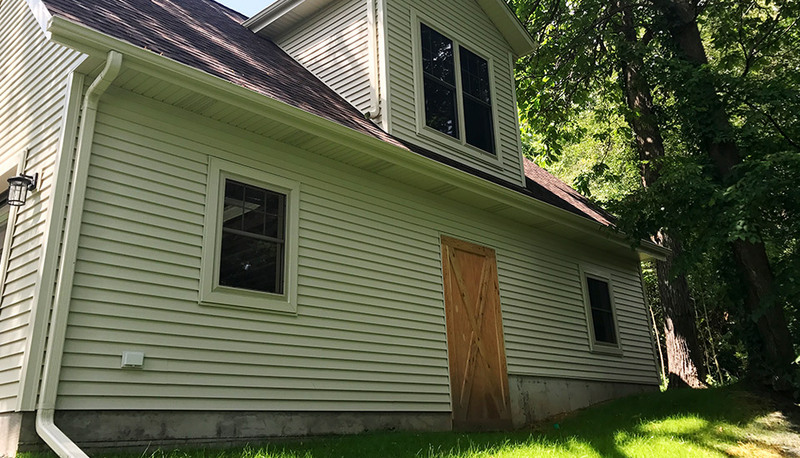 The original garage located off of Pine Lake was part of one of the oldest cottages in the area. 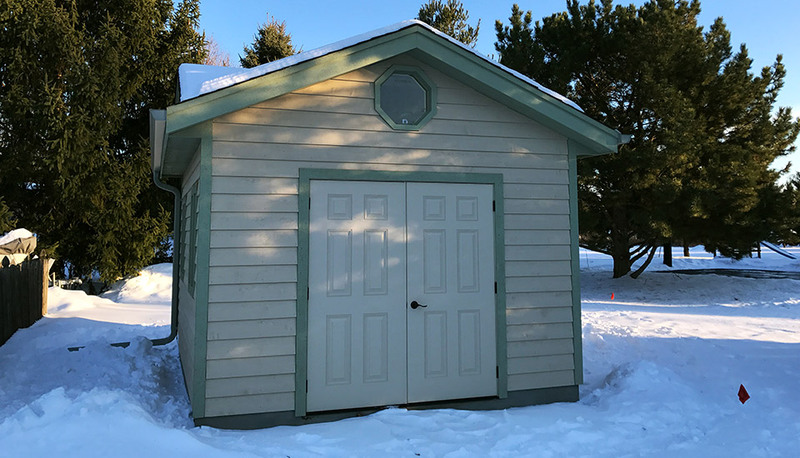 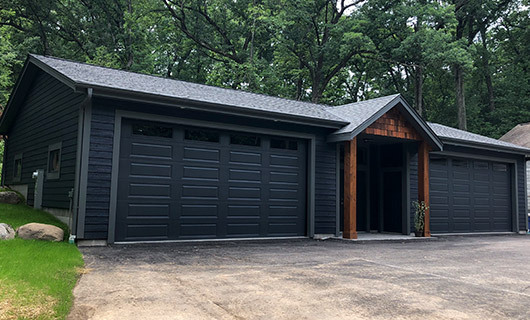 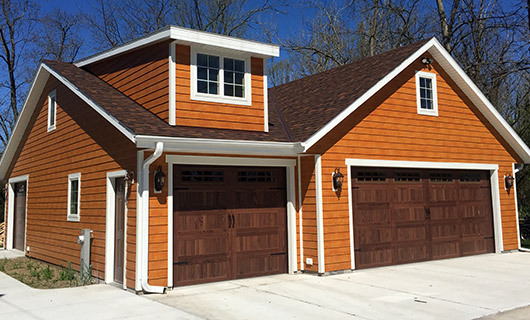 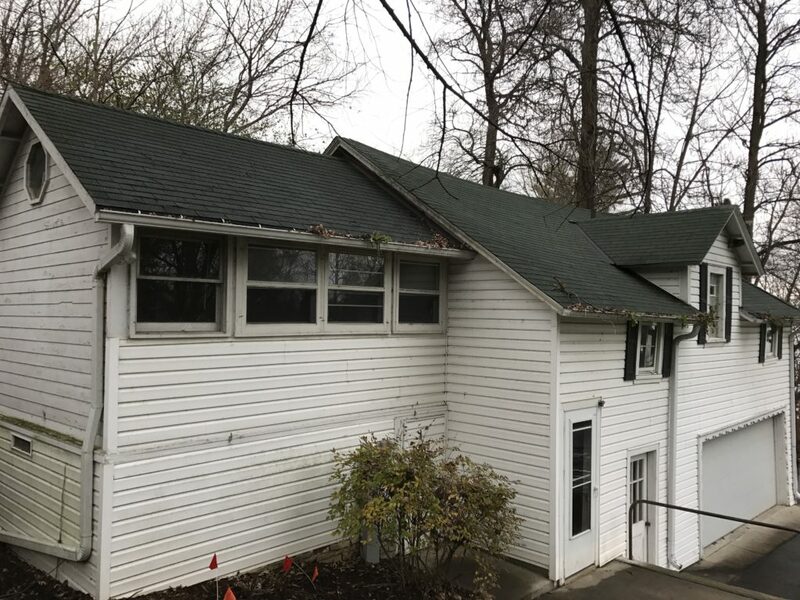 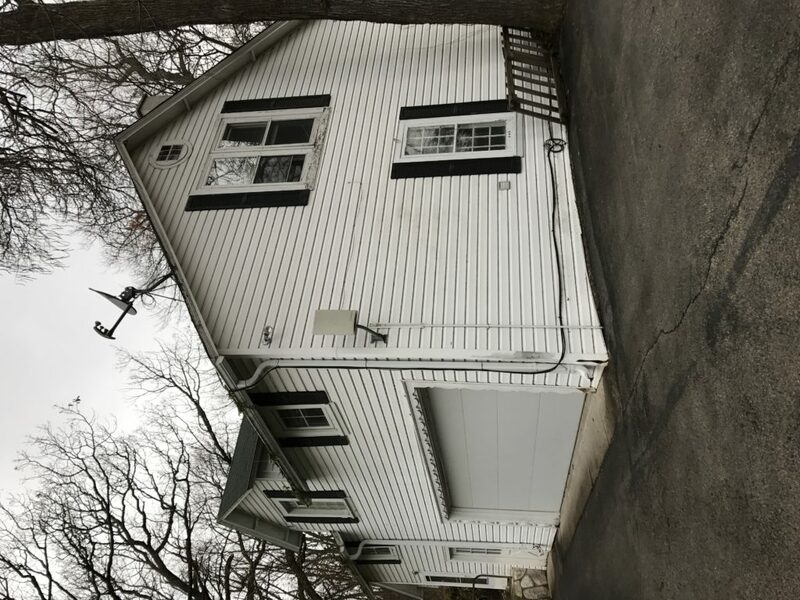 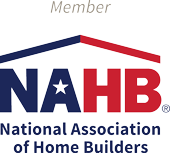 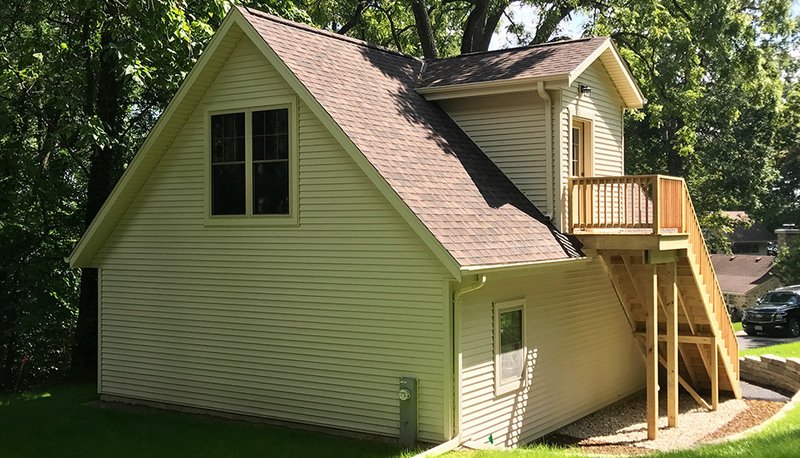 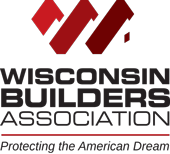 Due to the age and the decrease in stability of the structure and the updates made to zoning ordinances since the original build, our clients needed to build a completely new garage. 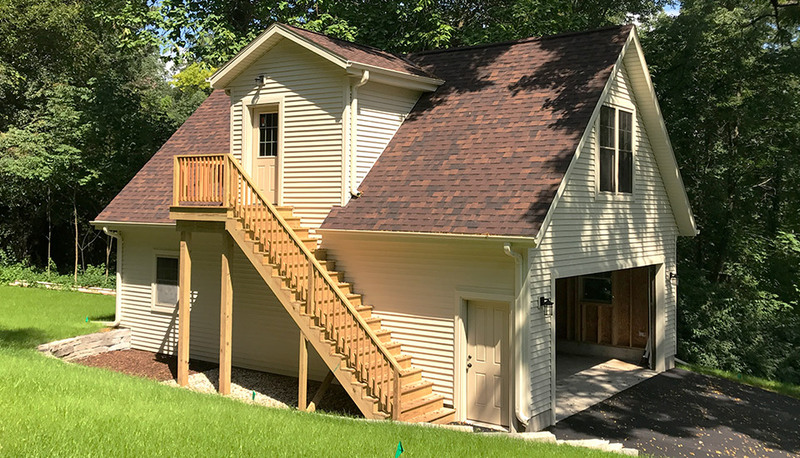 Renz Construction completely demolished the original structure and relocated the new garage so it was compliant the new ordinances. 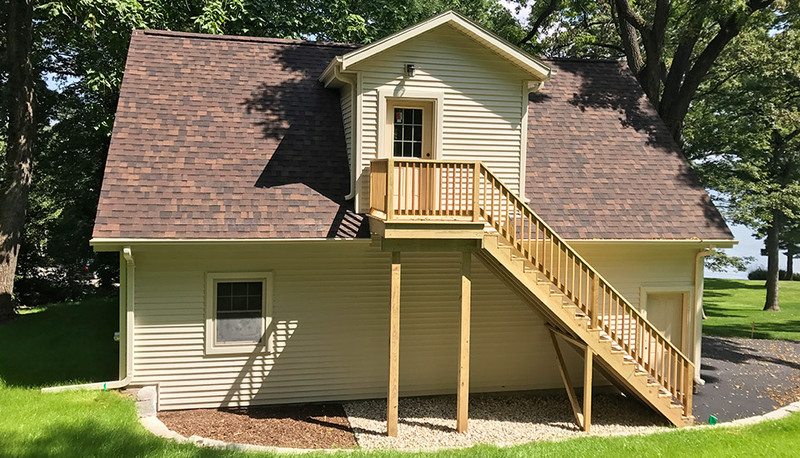 We took this opportunity to design and build a new “barn” structure that offers custom second-level storage, complete with a large window to let in the natural light. 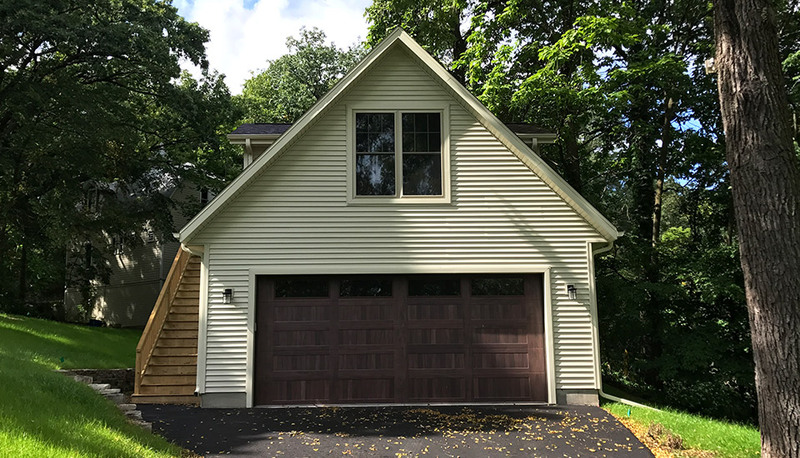 A double-door overhead door is convenient for both vehicles and lawn equipment while an exterior staircase makes the upstairs storage more accessible.